Capsule Type and Amount Affect Shedding and Transmission of Streptococcus pneumoniae. MBio. 2017 Aug 22;8(4). pii: e00989-17. doi: 10.1128/mBio.00989-17. Zafar MA1, Hamaguchi S1, Zangari T1, Cammer M2, Weiser JN3. The capsular polysaccharide (CPS) of Streptococcus pneumoniae is characterized by its diversity, as it has over 95 known serotypes, and the variation in its thickness as it surrounds an organism. While within-host effects of CPS have been studied in detail, there is no information about its contribution to host-to-host transmission. In this study, we used an infant mouse model of intralitter transmission, together with isogenic capsule switch and cps promoter switch constructs, to explore the effects of CPS type and amount. The determining factor in the transmission rate in this model is the number of pneumococci shed in nasal secretions by colonized hosts. Two of seven capsule switch constructs showed reduced shedding. These constructs were unimpaired in colonization and expressed capsules similar in size to those of the wild-type strain. A cps promoter switch mutant expressing ~50% of wild-type amounts of CPS also displayed reduced shedding without a defect in colonization. Since shedding from the mucosal surface may require escape from mucus entrapment, a mucin-binding assay was used to compare capsule switch and cps promoter switch mutants. The CPS type or amount constructs that shed poorly were bound more robustly by immobilized mucin. These capsule switch and cps promoter switch constructs with increased mucin-binding affinity and reduced shedding also had lower rates of pup-to-pup transmission. Our results demonstrate that CPS type and amount affect transmission dynamics and may contribute to the marked differences in prevalence among pneumococcal types.IMPORTANCEStreptococcus pneumoniae, a leading cause of morbidity and mortality, is readily transmitted, especially among young children. Its structurally and antigenically diverse capsular polysaccharide is the target of currently licensed pneumococcal vaccines. Epidemiology studies show that only a subset of the >95 distinct serotypes are prevalent in the human population, suggesting that certain capsular polysaccharide types might be more likely to be transmitted within the community. Herein, we used an infant mouse model to show that both capsule type and amount are important determinants in the spread of pneumococci from host to host. Transmission rates correlate with those capsule types that are better at escaping mucus entrapment, a key step in exiting the host upper respiratory tract. Hence, our study provides a better mechanistic understanding of why certain pneumococcal serotypes are more common in the human population. Copyright © 2017 Zafar et al. Streptococcus pneumoniae and lytic antibiotic therapy: are we adding insult to injury during invasive pneumococcal disease and sepsis? Brown LA1, Mitchell AM2, Mitchell TJ2. Streptococcus pneumoniae (S. pneumoniae), otherwise known as 'the pneumococcus', is a fascinating microbe that continues to pose a significant problem to public health. 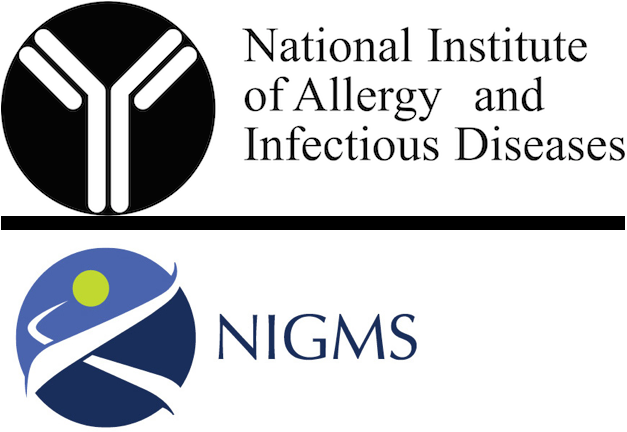 Currently there are no specific National Institute for Clinical Excellence (NICE) or British Thoracic Society (BTS) clinical guidelines referring to the treatment of invasive pneumococcal infection. NICE clinical guidelines suggest the use of lytic β-lactam antibiotic regimens for the management of community-acquired pneumonia and bacterial meningitis; infections for which S. pneumoniae is a likely causative organism. Lytic antibiotics have been shown to increase the release of pneumolysin (the highly inflammatory and damaging toxin of the pneumococcus), thus theoretically increasing host damage, which may lead to a decline of clinical outcomes in vulnerable patients. In light of this information, should the use of non-lytic antibiotics, such as quinolones, rifamycins and macrolides, be considered for the treatment of invasive pneumococcal disease?